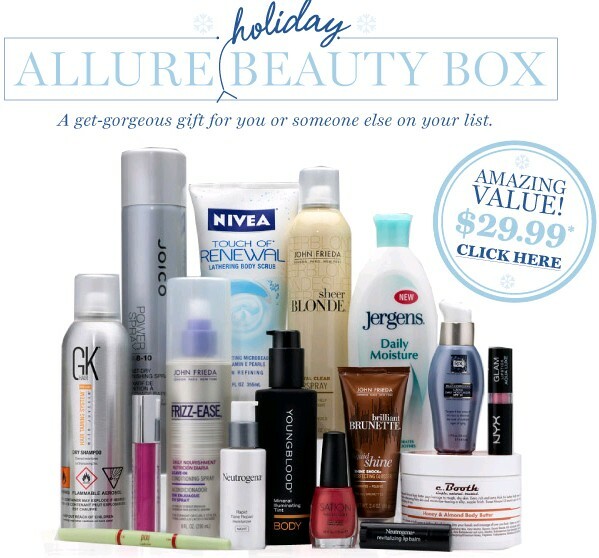 Attention Allure Beauty Enthusiasts: (you can Subscribe Here) it's time for the Allure Holiday Beauty Box! On sale November 23rd, this box of goodies (you can get Yours Here) is still available. I've ordered the Allure Beauty Boxes before and I have always found a lot of great useful items. Many of the items I share with family and friends but some of the products are just too amazing to part with. The Beauty Boxes tend to sell out within the first few days so you might want to hurry and get yours while you still can.